This is an interesting shopping list/summer project!Out of 100 roses tried, 30 made their “Recommended” list. Most cost less than $20. 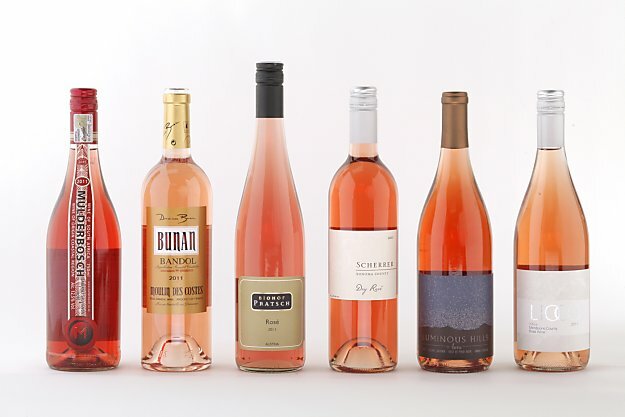 The San Francisco Chronicle’s list of 2011 rosés. Written by Jon Bonné. Panelists: Jon Bonné, Chronicle wine editor; Wayne Garcia, owner, Dig; Shelley Lindgren, wine director and co-owner, A16 and SPQR. Photo by Craig Lee. This entry was posted in Austria, California, France, Italy, News, Rosé, South Africa, South Australia, Spain. Bookmark the permalink.